But more on that later this week! 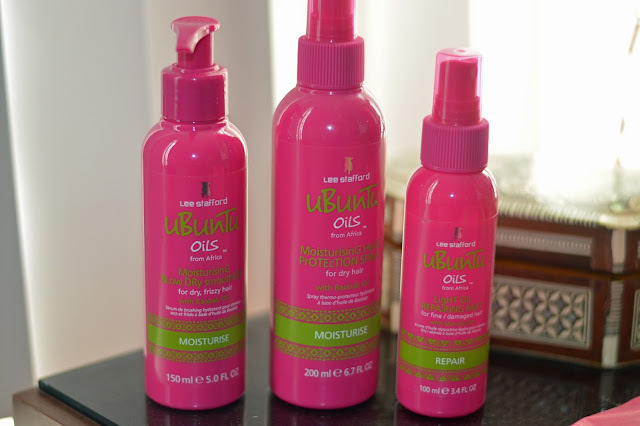 Today I am bringing you a review of these Lee Stafford Ubuntu Oils Hair Products I was sent to try out. I have been trying them for some time in order to get a feel for the products, and I want to share with you my thoughts and maybe a little bit of science behind the oils. Recently (or in the last 2-4 years) I feel like Moroccan or Argan Oils have been THE ingredient or oil to have in your hair products for the ultimate moisture and styling, I just remember everyone was going crazy about moroccan oil. I was really intrigued when I got an email about trying these products, because they contain various African oils (Baobab, Mafura, Marula, and Mongongo Oils) that will “replace Moroccan Oil in 2015, created to pamper, repair and restore hair to its full goodness.” Do these products stack up to Moroccan Oil? Baobab oil comes from the African Baobab tree, which is called the Tree of Life, mainly because people have carbon dated these trees for hundreds of millions of years. These trees grow rather large and during their lifetimes (average life of 500 years but some trees have been said to be 5000 years old! ), they just look like large stumps without leaves, but can store a great amount of water. And even when they are mature, a lot of the tree stumps are hollow and can provide shelter and protection. When they a flourishing, the tree gains a lot of leaves at the top and have flowers that smell like rotting meat (ew?) . The oil from the seeds of this tree is said to be full of vitamin A and E to act as a moisturizer for hair in addition to sterols and fatty acids. The other oils mentioned above (Mafura, Marula and Mongongo) come from other trees from different parts of Africa (Zimbabwe, Madagascar, etc. ), and are said to restore coarse and damaged hair. Because of their concentration, they can permeate hair cuticles and help repair deep down, and some of the oils are made of fine molecules that can be easily absorbed and not weigh hair down. Mongongo oil is said to be rich in Omega 6 Fatty Acids which makes it great for hair hydration and protection. I was sent a complete set of hair products that can be found at Ulta or Ulta.com, varying in price range from 10.99-12.99, so they are rather affordable (although a little on the high end for shampoo/conditioner, since I usually just use Herbal Essences and Aussie brand moisturizing conditioner), but still cheaper than the “designer brands” you see sometimes. And if these products do what they claim, then it should be a stellar deal! At first, I couldn’t pronounce the name Baobab, I kept messing it up. And I was really interested to see if this would work in moisturizing my hair. I have been using Moisturizing and smoothing shampoo and conditioner from Herbal Essences and Aussie brand, so this combination of products was perfect! I used these in the shower first using the shampoo, then using the hair butter in my hair for 5 or so minutes while I lathered up, and then finished with the conditioner. I used these products the longest and was fairly pleased with them. The shampoo and conditioner were pleasant to use, but I wish I had a bigger bottle of both! I have thick long hair so I tend to use a lot of both shampoo and conditioner! The shampoo didn’t lather as much as I’m used to, so I had to use a little more. The hair butter that I put in my hair as a mask was rather interesting, and felt very weird. It definitely felt like butter, instead of the usual feeling of a hair mask, but it actually left my hair feeling clean and full of moisture. Surprising! I didn’t like the buttery texture but it was actually good! So give this a chance if you try it! And I really enjoyed using the conditioner, out of the three products I liked the conditioner the most! I really liked both of these products as well. I have been trying to curl my hair or blow dry my hair a lot more lately, and I noticed I have a lot of damaged ends and split ends, because I haven’t been using a heat protecting spray. 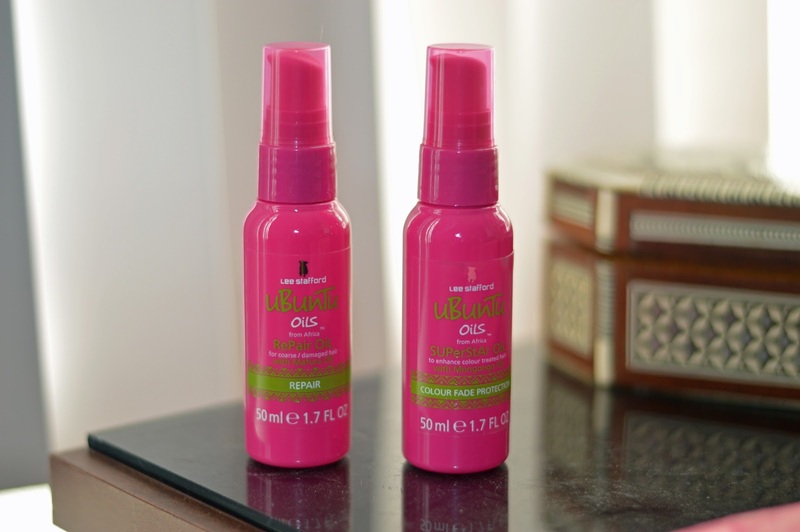 This was a great opportunity to use the heat protection spray and I really liked the feeling – it was like a light mist and I noticed my hair didn’t feel fried after running the flat iron on top of it! And the Blow Dry Smootheee worked wonders in keeping flyaways and frizz away! I use it even without blow drying my hair, and just run it through damp hair after I jump out of the shower if I don’t have time to blow dry my hair! My hair dries perfectly fine! I didn’t use these three products as much, but I did use the Repair Oil and the Light Oil Repairing mist a few times, like I said, I have a lot of damaged ends so it did make my hair feel refreshed and restored when I did use them. The Color Fade protection oil I didn’t use because my hair is not colored, but it contains Mongongo oil, which should hydrate damaged and dry color treated hair and protect in between coloring and hair cuts. 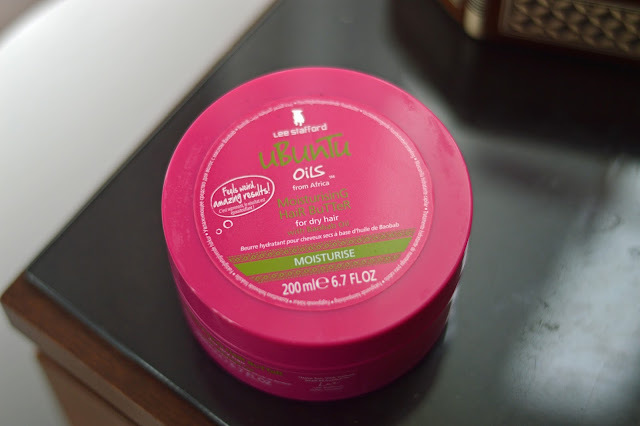 Overall, I really liked these products, and did see a slight difference in my hair, as my hair feels less frizzy and more smooth. I will definitely be purchasing the shampoo, conditioner, and the blow dry smootheee again, and possibly the heat protection spray (that can probably last me a while!). What do you think about these products? Have you tried any of Lee Stafford’s products before? 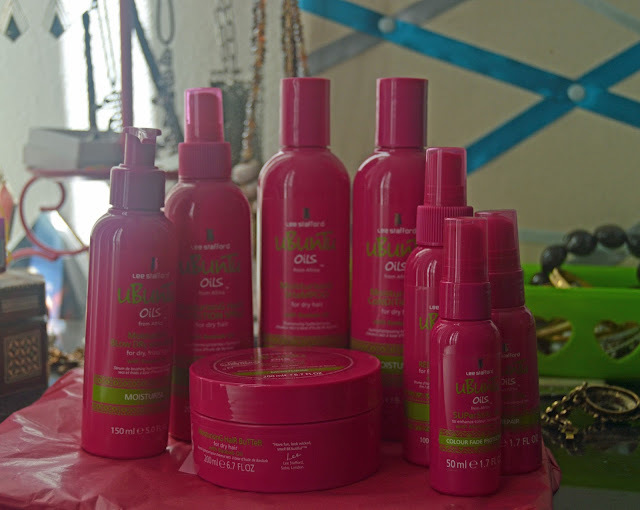 Did you love Moroccan Oil or Argan Oil hair products? 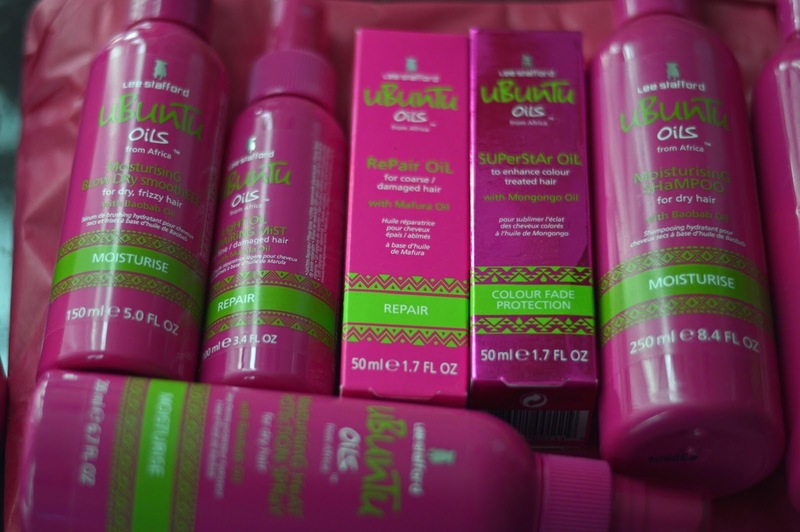 Have you tried any of these African Oils for your hair? Do let me know in the comments below. PS. I was given these products to test out but all opinions are 100% my own and not biased in any way! I haven't heard of them, but it sounds like a great collection Andrea! Glad they worked for you overall. Hello, dear Andrea! I am eager to know about the Vanity Fair party 🙂 Wow, I bet it was impressive! As for Argan Oil, it is like the "thing" now… it seems every product has Argan oil, and yet I have never used an Argan Oil shampoo, shame on me! I think that the ones you used are nice, though I prefer it to lather more, but I don't mind using a bit more to get more foam. Also, I never used anything with butter consistency 🙂 But if you say you ended up pleased with it, I believe and would like to try it too! Baobab is amazing, even more amazing to know facts about it. I knew about shelter, but not about the vitamins. They are really the Tree of life! Hope you have a very nice week, dear Andrea! Hugs and kisses! I've never heard of these products, but I'm a huge fan of moroccan oil, so I think I would like these, too. 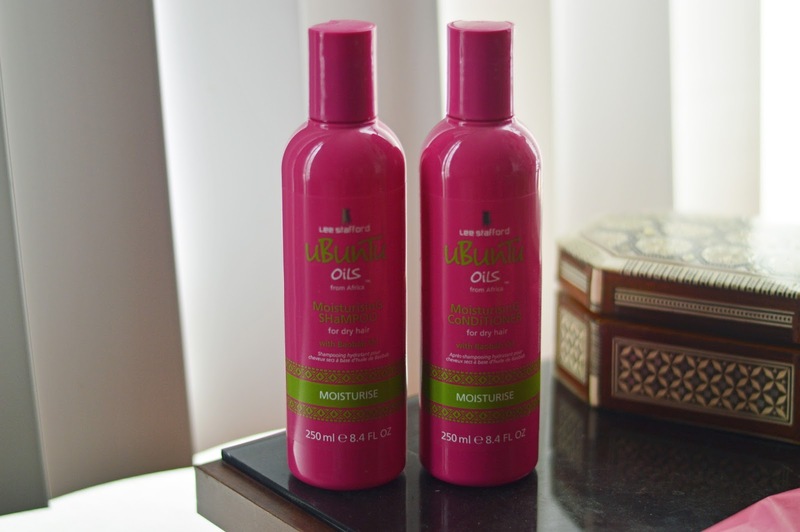 I haven't tried these products specifically, but argan oil has done wonders for my hair! And I've tried pretty much everything!